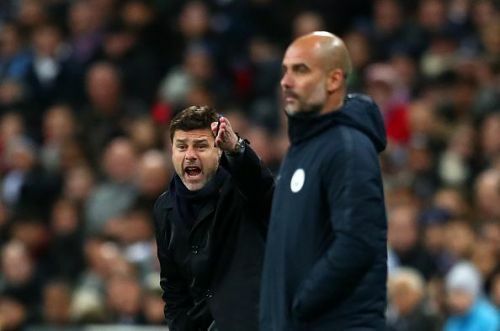 Pep Guardiola and Mauricio Pochettino will lock horns once again for the return leg. Tottenham Hotspur goes into the second leg of the Champions League quarter-final with a slight advantage, having won the first leg 1-0 at their revamped home turf. The rampant Manchester City side is favorites to overcome the previous leg's deficit suffered as Spurs have lost their prolific marksman and skipper Harry Kane due to an ankle injury. The second leg of an all English encounter promises tension and excitement as the unbridled City side is aspiring for a quadruple trophy haul whereas Pochettino's men are targeting their first European semi-final since 1982. The Argentine tactician is wary of the difficulties his side will face when they play against the world-class City side at the Etihad Stadium. Keeping the clash against Man City in his mind, the North London side gave optimum rest to their key players in the league match against the Huddersfield Town. Outclassing Pep Guardiola's men over the two legs is a huge ask, but Pochettino certainly looks capable of such a feat, and he should follow a tactically sound path to do so. Here are the 3 tactics which Pochettino could follow against Manchester City. Son Heung-Min will spearhead Spurs' attack in Harry Kane's absence. Pep Guardiola preaches a possession-based, fluid, and attacking style of football. He wants his players to regain possession as soon as they lose it. Guardiola's six-second rule became famous where the team fought to regain possession as a whole during his time at Barcelona. The Catalan's City side follow a similar blueprint, with his attacking players and midfielders pressing very high up the pitch to win the ball in attacking areas. This results in a very high defensive line. The full-backs play further forward to provide natural width. This leaves the center back pairing in a potentially vulnerable position and huge space is formed between them and the wide defenders which could be exploited by the opposing attackers. Tottenham players need to show confidence on the ball when in possession. The Technical abilities of their defenders, Jan Vertonghen and Toby Alderweireld will play a vital role in holding the ball and negating City's first line of press. The midfielders should release the ball in the wide channels, where the maximum space is found in City's half of the field. Spurs should move the ball quickly so that the City players are caught out of position and they are able to orchestrate counter-attacks against them. 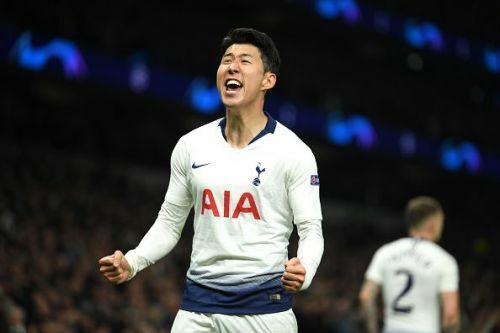 Son Heung-Min could utilize the vacant leeway between the high full-backs and the center-backs and mediate the brisk transition from defense to attack. This tactic worked wonders for Swansea, who scored two goals in their FA Cup encounter.